The electrical and electronic components (EEC) sector is an up-and-coming sector for Sri Lanka, with the potential to stimulate innovation, research and development (R&D) and investment in the country. The EEC sector is well positioned to benefit from the electronic and electrical component industry’s steadily increasing levels of manufacturing in Asia, and can contribute to the diversification and technological upgrading of Sri Lanka’s exports. Globally, the electronics industry has grown from US$1.75 trillion in 2008 to US$2.1 trillion in 2015, and is estimated to grow to US$2.4 trillion by 2020. During the past two decades, the industry – which encompasses consumer appliances, information and communication technology, industrial electronics, aerospace and defence – has experienced a steady expansion that has been driven by both demand and industrial infrastructure. The exponential growth of the Internet and its use for both personal and business data management and communications continues to be the sector’s main driver. Despite the immense global growth in the electronics industry, Sri Lanka so far has had limited participation in the sector. The country has great potential to develop a competitive electronics industry thanks to skilled labour, relatively well-developed infrastructure and preferential access to key destination markets through trade agreements. Interestingly, the compound annual growth rate (CAGR) for the electronics industry between 2012 and 2016 was 2.57% for Sri Lanka, while the global CAGR was -1.20%. 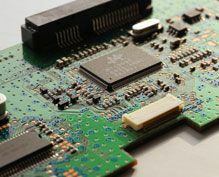 Electronics is a highly dynamic, globalized industry in which change is a constant; adaptations and upgrades continue to be key enablers and disruptors for the industry. Many trends that evolve from the EEC sector are linked closely with the software and hardware sectors. The main trends are ‘digitization’, ‘automation’, ‘miniaturization’ and, importantly, affordability. Nothing will remain untouched by electronics, in which hardware and software combinations as embedded technologies will continue to deliver disruptive solutions at more affordable prices at an even faster pace. Several new areas such as security, healthcare, transportation, defence, agriculture, lighting and lifestyles are being digitized and automated at various levels. This sectoral Strategy under the National Export Strategy (NES) is endorsed and budgeted by the government of Sri Lanka to provide a focused path for the sector to move forward in a way similar to this sector in other countries in the region that have the support of their government. The endorsement of and budget for this Strategy provide the support to guide the sector towards strategic growth in terms of technology, investments and employment generation. Limited services for product testing and standardization for exports. Provide early support to the EEC sector by introducing a national-level framework for sector development, with focused product lines, and by encouraging investments into these product lines. Initiate a few projects of national importance that will lead to improved and enhanced production in the sector, such as encouraging green and clean electricity generation (rooftop solar) and transportation. Stimulate demand for electronics products. For example, the government could encourage rooftop solar or light emitting diode (LED) lighting so that these products could be manufactured in large quantities for domestic consumption and export. Three main approaches could make the EEC sector successful in the next five years. First, leverage the country’s existing capacity in Electronics Manufacturing Services (EMS) while increasing production of electrical parts and products. 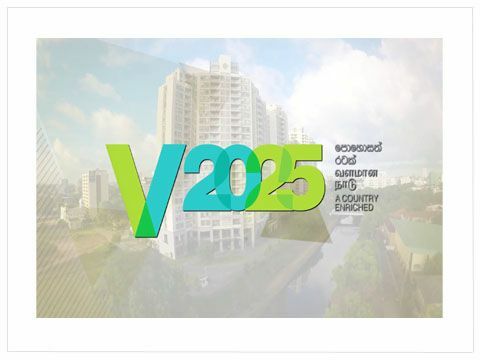 Second, work to become a component manufacturing base for large multinational brands by linking with the software industry, thus helping Sri Lankan producers to move up the value chain. Finally, leverage innovative ideas available in academia and industry to focus on a few high-tech products such as robotics or Internet of Things devices (IoT), among other growth opportunities. The strength of Sri Lanka’s manufacture of existing products such as panels, electric meters and wiring harnesses and cables, combined with its strong production capacities for emerging products, switches and MCBs would make manufacturing products such as smart panels for export a natural next step. This could lead to local companies being able to execute medium to large scale projects internationally, thus moving up the value chain. India could provide partners for electrical parts and products manufacturing. Indian companies are looking for alternative destinations to manufacture these products in order to increase trade with Africa and the Middle East. With Sri Lanka’s existing manufacturing strengths, it should be possible to attract Indian investment in Sri Lankan manufacturing for the African and Middle Eastern markets. Component manufacturing base: Once the country is an EMS destination, the next step would be to manufacture components in Sri Lanka. 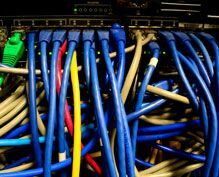 Among the current products the industry can concentrate on are transformers, capacitors and wiring harnesses, and the range could be deepened by producing cable connectors, PCBs and relays. The latter products have low capital requirements but demand a high labour input. Countries in which to approach companies for such contracts would include Japan, the Republic of Korea and Germany. Such approaches should be supported by setting up a cluster for component manufacturers. While undertaking initiatives to become a component manufacturing base, consideration also should be given to manufacturing passive and electromechanical components first, since active component manufacturing has high costs and presents technology challenges. 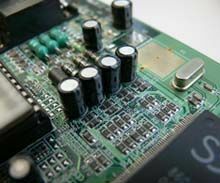 Sri Lankan companies already manufacture passive components such 3 as films and transformers; electrolytic and ceramic capacitors and resistors also could be manufactured. In the electromechanical space, Sri Lankan manufacturers already produce wiring harnesses and cables and connectors and relays could be added. Successfully manufacturing these products can strengthen opportunities to become an EMS hub as well. Globally, manufacturers in high-cost locations such as Japan, the EU (especially Germany) and the United Kingdom are actively looking for an alternative China+1 location. Mostly large multinationals, these companies could be invited to relocate to Sri Lanka to meet their China+1 requirement. This can be achieved by encouraging companies from the Republic of Korea, Japan, Germany and other European countries to establish themselves in Sri Lanka. Innovations through academia and industry: Entrepreneurs should be encouraged to develop and commercialize innovative designs and products that have been invented by Sri Lanka’s academic institutions and industry, specifically low-cost, high-tech products such as robotics, three dimensional (3D) manufacturing, e-surveillance security devices and IoT devices. Improve recognition of the EEC sector and strengthen its industry body, the Sri Lanka Electronics Manufacturers and Exporters Association (SLEMEA). Build and fortify linkages between industry and academia. Streamline, strengthen and simplify the intellectual property regime. Strengthen the Sri Lanka Standards Institution (SLSI) as the local governing body for product compliance testing. Develop human resources and emphasize skills development. Create an industry cluster to boost local production and exports. Target promotional events for contracts and investments. Enhance R&D facilities to encourage innovation. Support an incubation centre housed in a university.